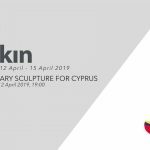 At the first exhibition of the new season, for art lovers the Odeabank’s art platform O’Art presents works by artist Turan Aksoy, Arkin University of Creative Arts and Design (ARUCAD) Rector. The opening which was hosted by Odeabank General Director Mert Öncü and Turan Aksoy brought together art aficionados. The “Not as you think” exhibition which has been put on display under three different sub-headings at O’Art, the gallery space of Odebank, is compertmantilised into three rooms, and while it takes the concept of contrariness as its central point, it focuses on dilemmas generated by some contradictions that emerge during Turan Aksoy’s artistic production. The first room which takes what is “Individual & Societal” as its focal point welcomes the visitors in the format of an open book with single individual pages of the “A handmade book which is the shadow of miniature” that was produced by the artist in 2016-17. The exhibition than proceeds with a compilation of different production periods of the artist (2015) , and the selfportrait of the artist that was first displayed at the “A portrait; Restless” that had opened at the Pi Artworks in 2013, “Reverse, down and forward” and “Five soldiers soiled with urine” (1988) and “Sub-contractor angel”. The second room which takes “Environment and City” as its focal point welcomes us with the “Lie and Memory” which is a mini video installation by the artist of the interior of a house. In the same room are the mountain paintings “Kato as a map”, “Munzur as hope” and “Ararar as frontier” that were produced by the artist in 2013-14. You can also see a compilation of sketches and original paintings that belong to the “Home and Cities” series. Big dimensional works that had been put on display at the “Manageable Paradise” that had opened at the National Reassurance gallery in 2015, as well as the urban scenery “The melancholy of everything except self’s” from the same series can also be seen at the same space. Lastly, at the third room, we are confronted with three dimensional works that were made by the artist during different periods of time under the sub-title of “Real and surreal”. “Travel paintings” which Aksoy had exhibited in 2017 at Art Rooms art gallery, as well as a compilation of works that were produced at different periods and showed surreal characteristics, and the collage work entitled “A” from the “Dust and fuss” series that had opened at Pi Gallery in 2011 also share the same space here. This dilemma, that the “Not as you think” exhibition creates in the wake of a general glance, concludes that this is caused by the chosen contrasts and coincidental elements during the formation and variation process of Turan Aksoy’s works. Thus, Aksoy hopes, the emotional and intellectual weave that is behind the “things” that stand as a dilemma will become comprehensible with the “Not as you think” exhibition. The exhibition is open at Etiler’s O’Art until 5 January 2019.